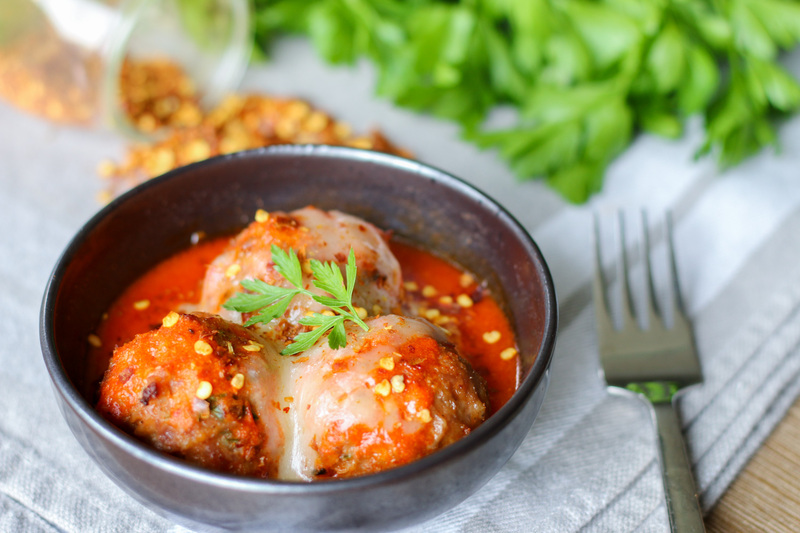 Meatballs are one of the most flavourful and versatile protein balls that you can eat with and on pretty much A-N-Y-T-H-I-N-G. 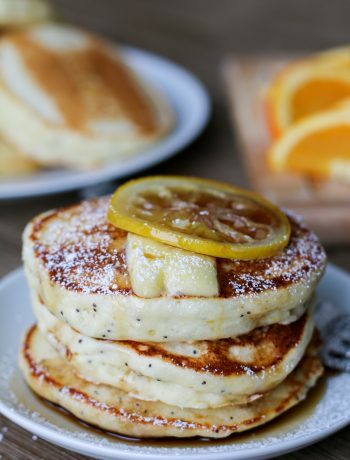 They can be made with a variety of types and cuts of meat (or no meat at all), herbs, spices, and can be prepared in countless ways – baked, fried, steamed, simmered, etc. Pretty much every culture will have their own variation of meatballs which makes it unique to them. To me, meatballs are a quick and easy meal that I can prepare in large amounts and freeze for later use. Over the years, I’ve made a lot of meatballs and tried a variety of meat blends to perfect the juiciest, most flavourful meatball, however for some reason I keep going back to pure pork meatballs. Maybe it’s because I grew up with a lot of pork, or if I find pork to be more of a flavourful meat, but I’ve finally developed the best baked pork meatball recipe! For those of you who are short on time like me, baking meatballs reduces the amount of clean up mess and time spent watching over them. Meaning more time to multi-task while the meatballs are baked unsupervised! Keep your ingredients cold. Just like making pastry, you want the fat to stay solid. Chilled meat also holds their shape better. Get messy. Don’t use a spoon to mix the meat, use your hands! 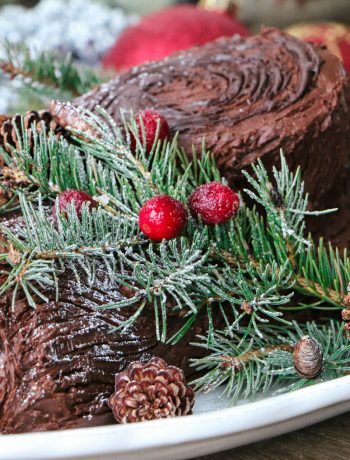 Incorporating all the ingredients is so much easier with your hands. Don’t overwork the meat. Overworking the meat will cause it to be tough and gummy. Meatballs should be light and airy. Sample. When working with a large batch of raw meat, it’s tough to know if you’ve nailed the flavourings. Always fry up a small piece to check for seasonings. Get oily. When shaping the meatballs, oil your hands to prevent the meat from sticking to your hands. Be gentle. Don’t pack your meatball, rather gently form them into balls to keep the meatballs light. 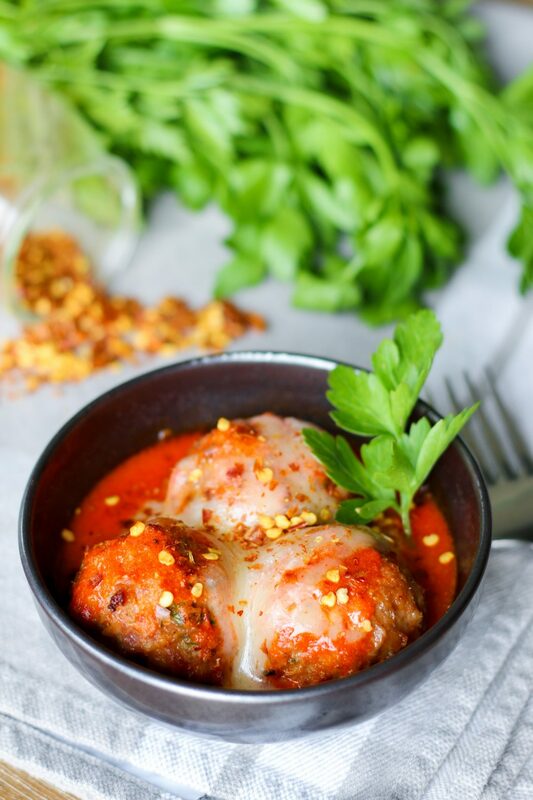 Craving juicy, tender, flavourful and simple to make meatballs? Why not make these easy baked pork meatballs? 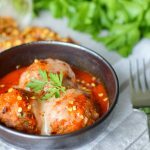 These meatballs are so versatile they can be eaten with, in, or on pretty much anything - pasta, rice, soup, bread, you name it, it'll taste delish! Heat oven to 425 F. Line two baking sheets with foil and spray with oil. In a small bowl, combine panko and milk. Let the panko soak up the milk while preparing the other ingredients. Coat a frying pan with oil and heat to medium-high. When hot, add onions and garlic and sauté until brown (for about 10 minutes). Place the meatballs on the baking sheet 1 inch apart. Bake in the oven for 20 minutes, then broil for 3 to 5 minutes or until the tops are browned. Serve with tomato sauce, a generous amount of Parmesan and freshly cracked pepper. *To make this recipe Gluten Free, substitute panko breadcrumbs with the same amount of crushed Rice Chex cereal (place in a plastic bag and crush with a rolling pin) or gluten free breadcrumbs of your choice.